Boy Scout Troop 50 | Chattahoochee Council | Auburn, Ala. | #troop50: Bacon-wrapped WHAT?!?!?! 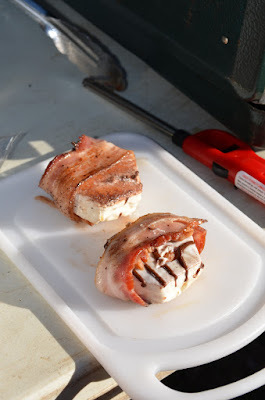 The Average Joes have created an anything-but-average camp out delicacy. Move over bacon-wrapped filets, the Average Joes Patrol has developed the Bacon-wrapped Zebra Cake: A Little Debbie Zebra Cake wrapped in thick-sliced bacon. The patrol has dubbed their creation the "new chicken and waffles"! 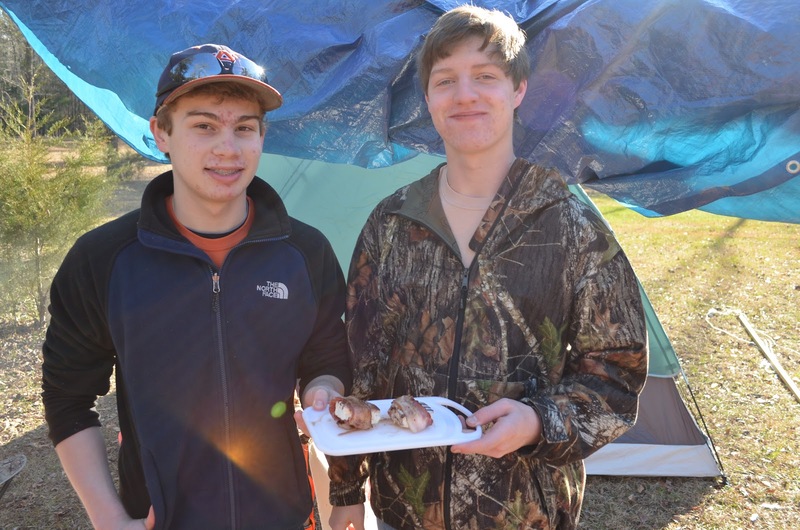 So, when you see it on the next episode of The Rachel Ray Show or deep-fried by Paula Dean, know that this porcine treat started first with Troop 50! Check out pics of their creation below, other photos from the weekend in our online photo album.